Color/Appearance: Heartwood is a yellowish-orange, sometimes with darker red or brown streaks. 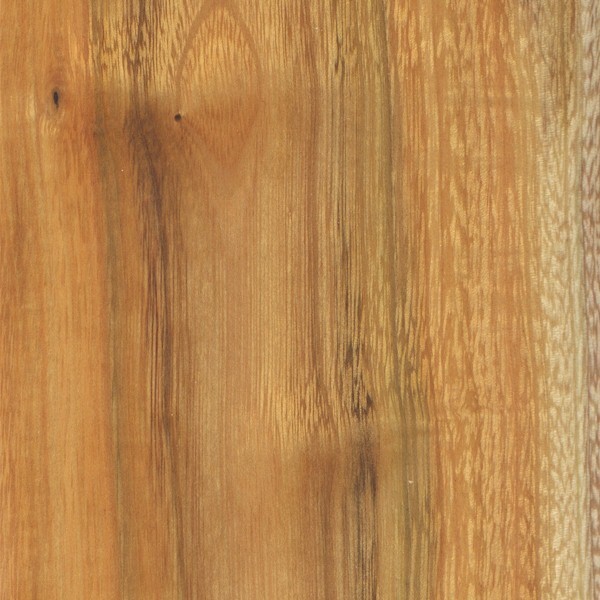 Sapwood is a pale off-white or straw color. 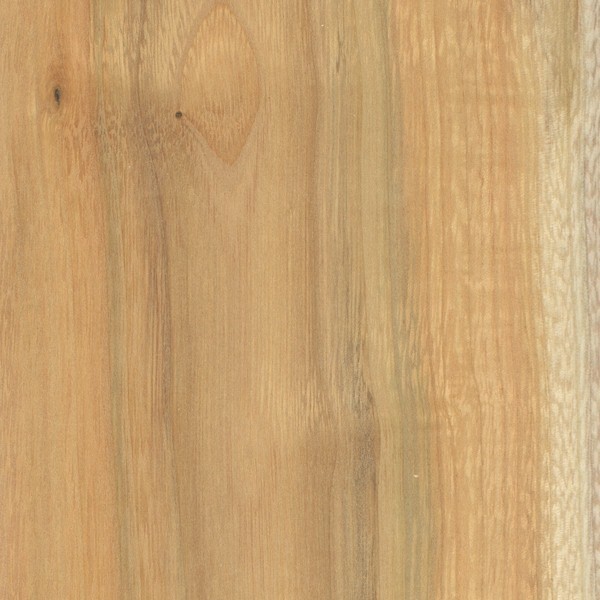 Buckthorn’s overall color is close to the appearance of Canarywood. 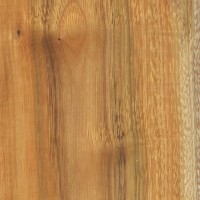 Grain/Texture: Has a tight grain, with a fine uniform texture and moderate natural luster. Workability: Easy to work, though significant end-checking can occur if not dried properly. Buckthorn’s working characteristics are reminiscent of Cherry, and it turns, glues, and finishes well. Odor: Buckthorn has a faint, mildly unpleasant scent when being worked. Allergies/Toxicity: Although severe reactions are quite uncommon, the sap of Buckthorn has been reported to cause skin irritation. See the articles Wood Allergies and Toxicity and Wood Dust Safety for more information. Pricing/Availability: Buckthorn is such a small tree that it is of virtually no commercial potential, and its wood is not typically offered for sale. Most pieces are obtained through local harvesting by hobbyists. 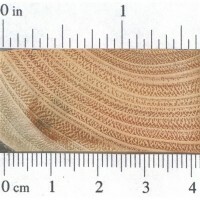 Common Uses: Posts, turned objects, carvings, and other small wooden specialty items. Comments: The strength numbers and mechanical data cited above is for Cascara Buckthorn (Rhamnus purshiana), while the foliage illustration, wood scans, and written descriptions are for Common Buckthorn (Rhamnus cathartica). Buckthorn is considered an invasive species in many areas of the United States, where it was originally brought over from Europe as an ornamental shrub in the 1800s. 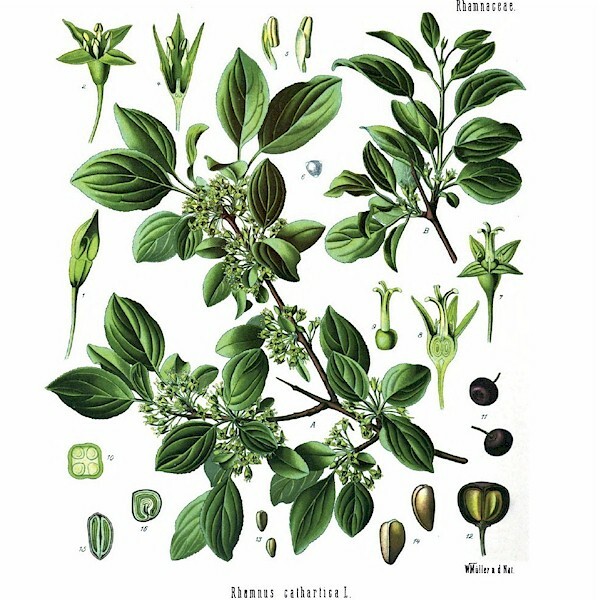 By contrast, Pink Ivory (Berchemia zeyheri) was formerly placed within the Rhamnus genus and could be considered a relative of Buckthorn (both species are in the Rhamnaceae family). Buckthorn is definitely one of my favorite woods to carve. 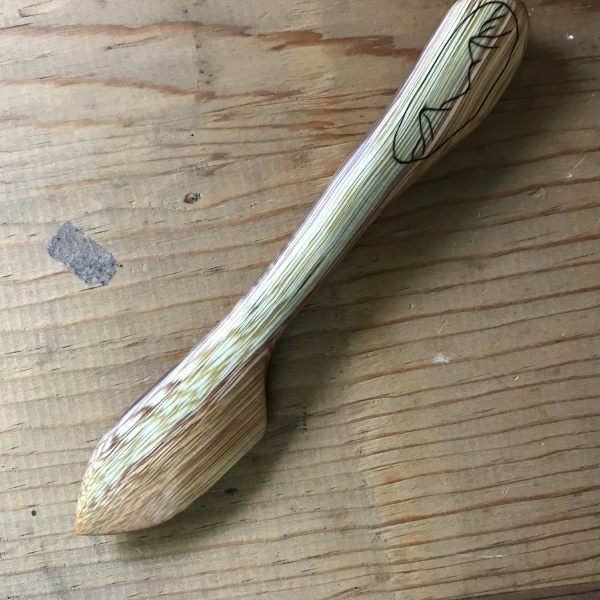 It works wonderfully and when thoroughly sanded I can get a spoon made of it to feel almost like it is made of metal (smoothness wise) before I put any oil or finish on it. After the buckthorn is oiled it has an incredible luster that a picture just won’t quite show but it is magical. Also, the colors are unmatched by anything else I have used. The heartwood is usually the reddish orange of a sunrise or set and the sapwood is usually cream but I have found that it also often has purple streaked through. I have been using a spoon made from buckthorn pretty much daily for the last 4-5 years and it is still not showing much if any wear. The only negative is that wet logs check very readily as they dry naturally but since the final product is so gorgeous it is totally worth it. As I understand it, here in North America we have two major invasive buckthorns: common and glossy. The color of the two is very similar, but it seems like they have some different character in practice; I’ve been trying to carve spoons from both, and I think it’s the glossy that works much better. 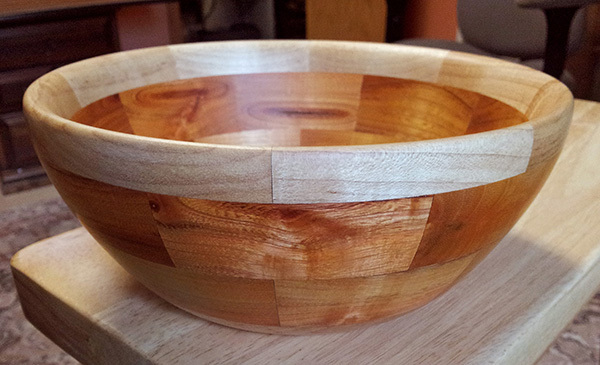 It gets a nicer finish (much less fibrous), almost cherry-like, and is not as prone to cracking. In both cases, it sure does have stinky dust when you sand it, though! I have recently turned several cascara cups and a couple small bowls, the contrast between the yellowish sapwood and the reddish heartwood is pleasing to me and much more definite than the pictures, though I did oil my work. The grain has also been a surprise, even when the grain looks very straight, with light at the right angles, it can have a texture similar to the quilted maple. 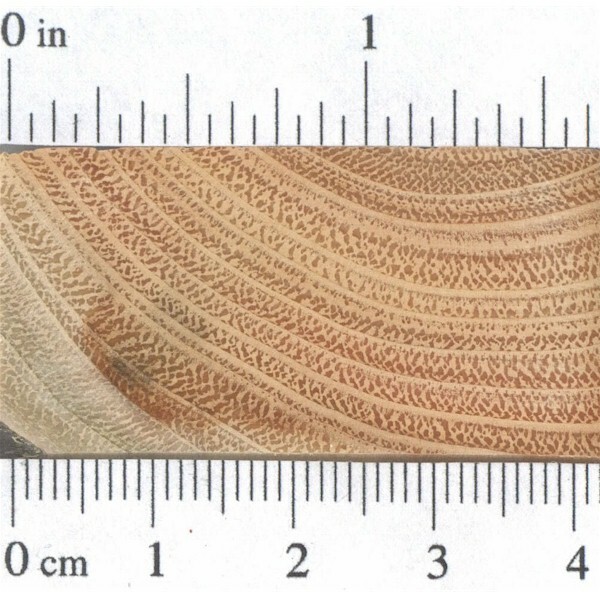 And I have to agree with Ian that the heartwood/knots are a much darker red-brown than is evident from the pictures. Aside from the occasional grain reversal and the fibrous tearout which almost reminds me of sumac, buckthorn is a beautiful finished wood for small pieces. It’s smooth, hard and fairly dense. I have learned to get around most of the end checking by microwaving all the moisture out of the wood after rough shaping and finishing the rest of the piece with dry wood rather than green. The sapwood is not very attractive but luckily it isn’t very thick on all the pieces I have encountered. I am using it to make roof poles for a yurt. I am cutting down the tall ones in the shelter belt behind the house. I use my drawknife peels of the bark and the yellow wood on the edges. The knots look nice sanded and are a much darker red than shown.Where a mask when sanding cause the dust is nasty. It splits pretty bad but for what im doing it doesn’t matter. It makes nice walking sticks and it seems to be very durable. It seems to rot very slowly.